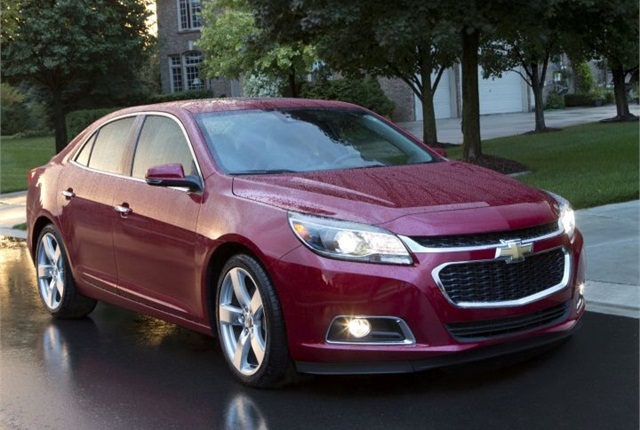 Photo of 2015 Chevrolet Malibu courtesy of GM. General Motors will continue selling the eighth-generation Chevrolet Malibu as a limited fleet-oriented model for the 2016 model year alongside its ninth-generation Malibu, according to a spokesperson for the automaker. The Malibu Limited will be sold with a short model year that will start production this summer and end in spring of 2016. The model will also be available to retail customers. The Malibu Limited will bridge the gap until production begins on the next-generation model at the end of 2015. The Malibu Limited will be offered in three trim levels, including the 1FL, 1LT, and LTZ, with the 2.4L inline-four. The 2.0L turbo inline-four won't be offered on the 2LT and LTZ trim levels. Also, several metallic body colors will no longer offered. General Motors used a similar strategy when it offered the Chevrolet Impala Limited in 2014 alongside its ninth-generation Impala. The Malibu is a popular fleet vehicle. In 2013, commercial fleets added 7,381 sedans. Rental operators added 50,092 vehicles. GM sold nearly 30 percent of its Malibu cars to fleets in 2013 compared with 66 percent of Impala cars to fleet buyers.